﻿ CE Certification-EU Certification-Shenzhen STS test services Co., Ltd.
CE certification, which is limited to the product does not endanger the basic safety requirements of human, animal and cargo safety aspects, rather than the general quality requirements, coordination instructions only specify the main requirements, the general instructions require the standard task. So the exact meaning is: CE mark is a safety qualification mark rather than a quality certification mark. Is the "main requirement" that forms the core of the European directive. The "CE" mark is a safety certification mark that is considered a passport for manufacturers to open and enter the European market. CE stands for European Unification (CONFORMITE EUROPEENNE). 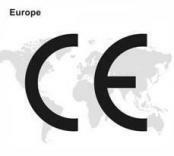 In the EU market, the "CE" mark is a mandatory certification mark, whether it is the products produced by enterprises within the EU, or other countries to produce products, in order to free circulation in the EU market, it must be affixed "CE" logo to indicate the product In line with the EU "technical coordination and standardization of new methods" directive of the basic requirements. This is a mandatory requirement by the EU law for the product. (A) The Declaration of conformity / Declaration of compliance issued by the enterprise, which is a self-declaration and should not be issued by a third party (intermediary or test certification body) and, therefore, Enterprise "Declaration of Conformity" instead. (B) Certificate of compliance / Certificate of compliance A certificate of conformity issued by a third party testing organization (such as Depp is a testimony) must be accompanied by a technical report TCF such as a test report. Sign the Declaration of Conformity. (C) EC Attestation of conformity "EU Certificate of Conformity", which is a certificate issued by the European Notification Body (NB), and only NB is eligible to issue EC Type CE declarations in accordance with EU regulations. Mode H: Total quality assurance is based on the different combinations of the above basic models and may be derived from several other different models. In general, not any model can be applied to all products. In other words, it is not the manufacturer who can choose any of the above models to CE certification of their products. Self-declaration model or must be passed through a third-party testing agency Risk level Low (Minimal Risk) The EU product directive allows manufacturers of products of certain categories of risk level to be selected (Minimal Risk) Mode A: "internal production control (self declaration)" way to CE certification. Products with higher risk levels must be intervened by a third party certification body NB (Notified Body). For products with a higher risk level, the manufacturer must select a model other than Mode A, or Mode A plus other modes to achieve CE certification. In other words, must be through the third party testing agency NB (Notified Body) involved. A. The name, trade name, and address of the manufacturer (EU Authorized Representative (EU Authorized Agent) AR). B. The model number of the product. D. Safety design document (key structure diagram, that can reflect the climb distance, gap, the number of layers and thickness of the design). E. Product technical conditions (or enterprise standards). H. Key components or raw material list. J. The relevant certificate issued by the EU Authorized Certification Authority NB (for other models other than Mode A). K. Product registration certificate in the EU (for some products such as: Class I medical equipment, general IVD in vitro diagnostic medical equipment). L. CE Declaration of Conformity (DOC). LED lights, LED lights, LED lights, water lights, lights, lights, LED lights, LED lights, LED lights, LED lights, LED lamps, energy - saving lamps, T8 lamps, etc. 5, communication products CE certification: telephone, cable telephone wireless main and auxiliary machines, fax machines, telephone answering machine, data machine, data interface cards and other communications products. 9, CE certification of medical equipment. CE certification, for the national products in the European market trade provides a unified technical specifications, simplifying the trade process. Any country's products to enter the EU, the European Free Trade Area must be CE certification, CE mark on the product affixed. Therefore, CE certification is the product into the EU and the European trade free zone national market pass. Be accompanied by allegations for competitive purposes. 4. In the face of litigation, the EU designated agency CE certification certificate, will become a legal effect of the technical evidence. DePuhua testing (STS) as a professional authority of the third party testing agencies and CE certification agency, not only has an independent laboratory and a group of experienced CE certification engineers, but also for our customers to provide a full range of CE certification test Services, the company signed a mutual agreement with a number of countries, and issued by the report (or certificate), in line with EU test standards, to eliminate your product exports to the EU trade barriers. If you have the relevant CE certification test requirements, please call us 400-1800-162, we sincerely welcome you to visit our company.